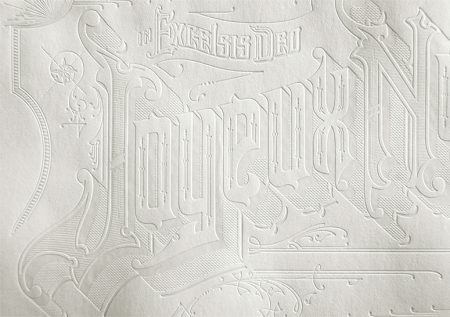 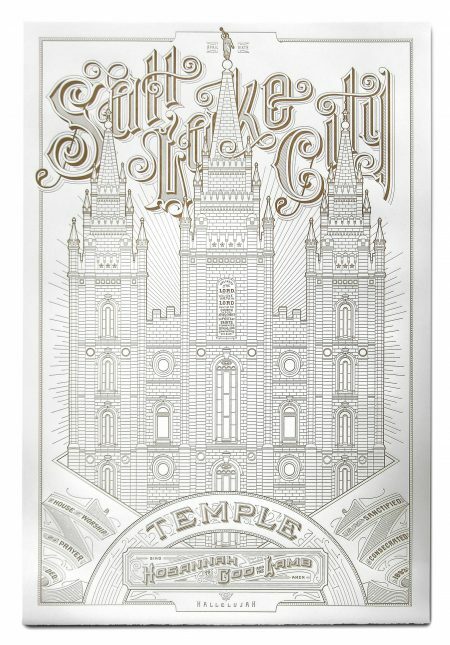 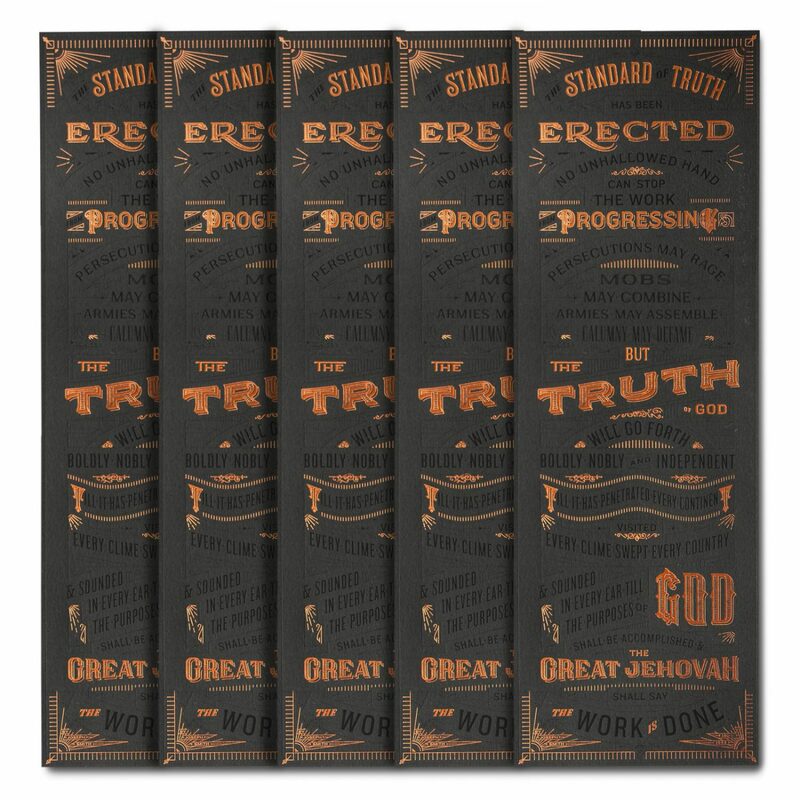 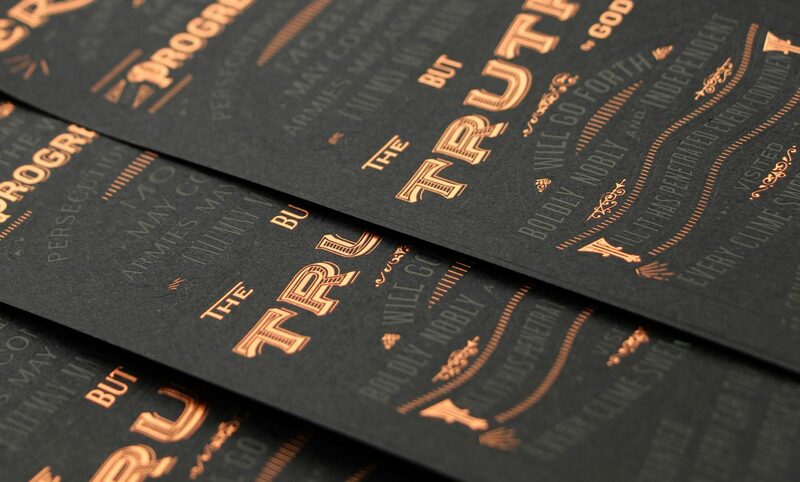 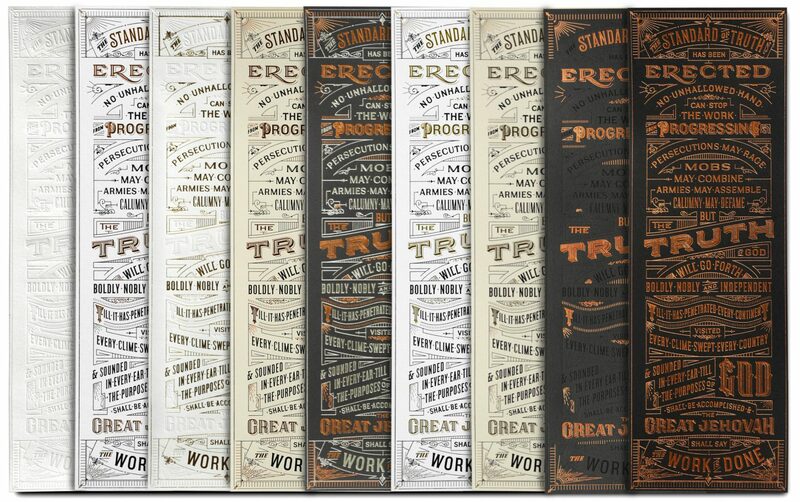 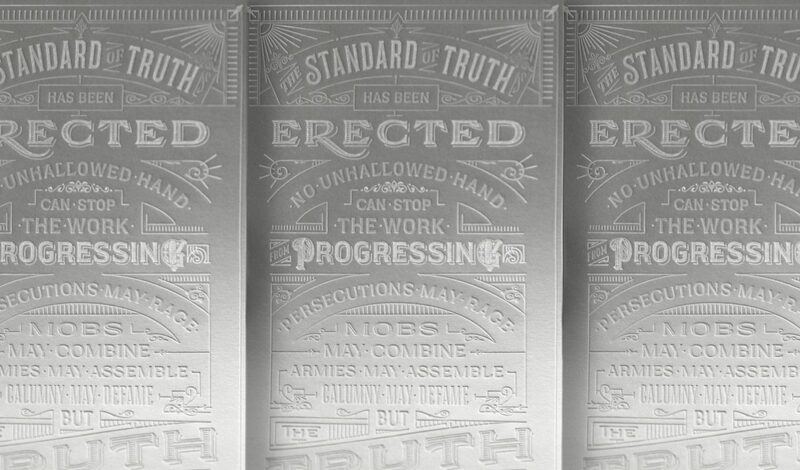 The Standard of Truth by Joseph Smith presented in a traditional scroll format which hearkens back to the 1800s in format and typographic form. 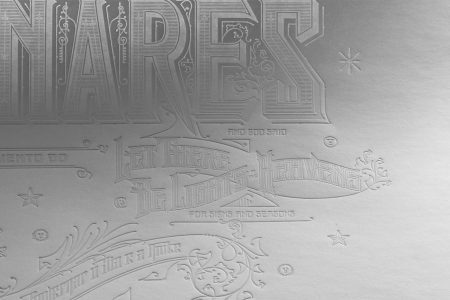 The poster is hot stamped in various foils on premium paper stocks that include include Moondream by Gruppo Cordenons for a premium finish. 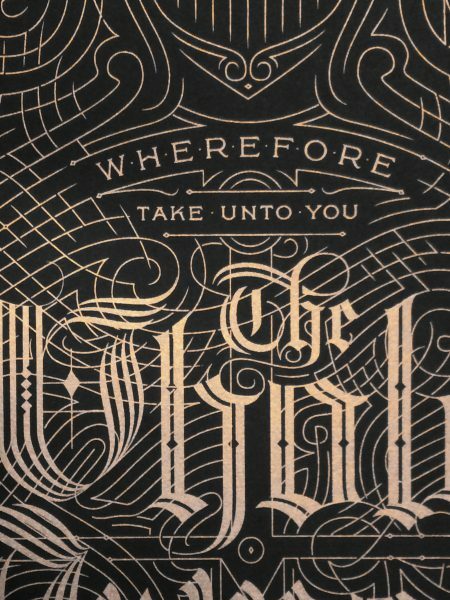 Domensions: 4″ x 12.” Buy here.